The Teran Dark Brown Women's cowboy boot is effortlessly cool in its modern take on the classic cowgirl boot. 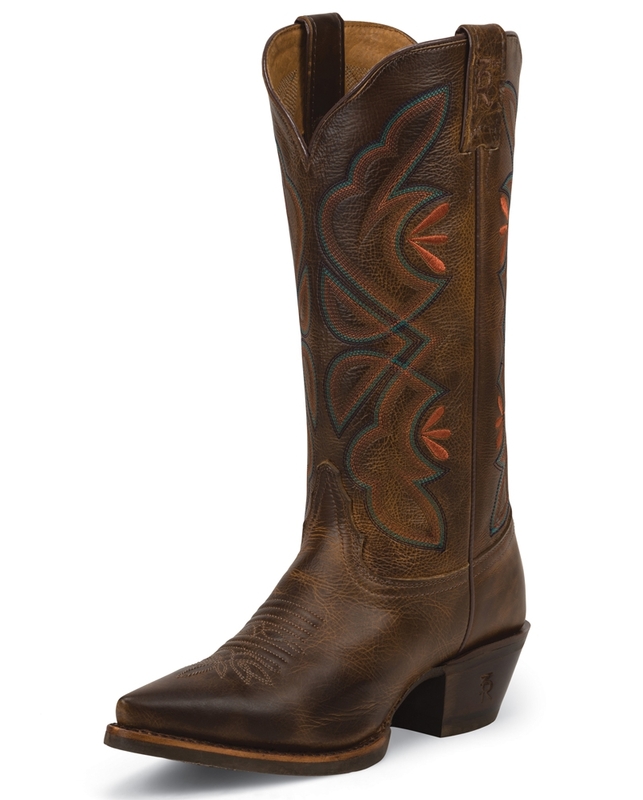 The golden brown leather exterior is slightly distressed and stonewashed to give it a lived-in feel and features a turquoise, navy, and orange stitching along the upper. The scalloped collar and snip toe are subtle details that give this boot a feminine edge and the standard heel offers a relaxed fit in the stirrup. Its orthotic insoles guarantee lasting support and comfort so this boot is rodeo ready.